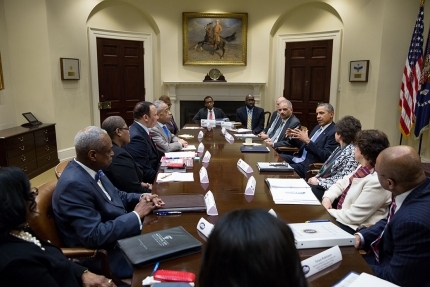 Leaders from some of the country's foremost African American civil rights organizations joined President Obama and a handful of Administration leaders in the Roosevelt Room of the White House yesterday. To open the meeting, I was joined by Attorney General Eric Holder, Director of the Domestic Policy Council Cecilia Muñoz, Cabinet Secretary Broderick Johnson and White House Advisor for Health Policy and Implementation Phil Schiliro for a discussion outlining the President's priorities for this year of action. 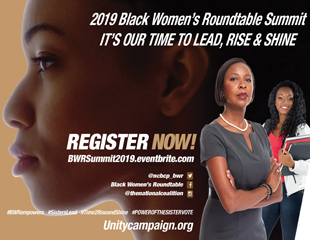 Present were leaders from the NAACP, The National Urban League, the National Action Network, the NAACP Legal Defense Fund, the Leadership Conference on Civil and Human Rights, the National Bar Association and the National Coalition on Black Civic Participation. 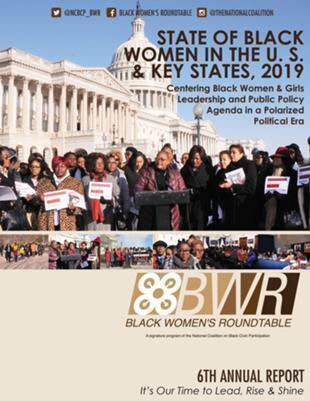 The group covered a range of issues of great concern to the President, and the African American community, touching on job growth, education and job training, maintaining our momentum in enrolling the uninsured through the Affordable Care Act, bringing more fairness and efficiency to our criminal justice system, increasing the minimum wage, and ensuring ladders of opportunity for all. What was clear in this meeting was that many of the goals the President set forth in his State of the Union address will become reality because of the strong partnerships that he and his administration have forged with leaders from the civil rights community who work hard every day to advocate equality and opportunity for all. The President will continue to work with Congress where they are able and willing to act, but meetings like this provide optimistic reminders that there remain other leaders in the country who can act right now - to improve the economy, to ensure greater opportunity for all, and to keep this country moving in the right direction. The capacity for the President and his White House to convene thought leaders, decision makers, and community leaders, all of whom have access to both resources and the audiences we aim to reach, is a powerful tool, and one which President Obama hopes to wield effectively in 2014 for the good of all Americans.